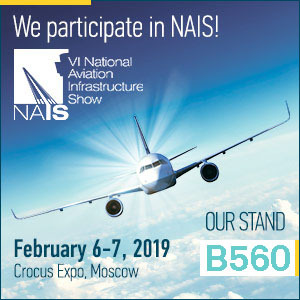 Every year the National Aviation Infrastructure Show (NAIS) is the most significant and influential event in Russia & the CIS dedicated to the development of airports, airlines and helicopter centres. OCEM Airfield technology is pleased to confirm it will be participating again this year, and would like to cordially invite you to visit us a at stand B560. The OCEM crew looks forward to sharing the latest news about our products portfolio, and to helping identify the best solutions tailored to your needs. See you at NAIS Moscow on Feb. 6 and 7!